Rabbi Dr. Edward Reichman is a Professor of Emergency Medicine and Professor in the Division of Education and Bioethics at the Albert Einstein College of Medicine of Yeshiva University, where he teaches Jewish medical ethics. 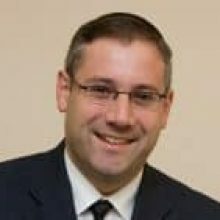 He received his rabbinic ordination from the Rabbi Isaac Elchanan Theological Seminary of Yeshiva University and writes and lectures internationally in the field of Jewish medical ethics. He is the recipient of a Kornfeld Foundation Fellowship, and has been a member of the advisory boards of the Institute for Genetics and Public Policy, the New York Organ Donor Network, the Halakhic Organ Donor Society, and the Rabbinical Council of America. He has been a mentor of the Medical Ethics Society of Yeshiva University since its inception. His research is devoted to the interface of medical history and Jewish law.